GROWTH-hungry Oil Search’s ambition to be part of the next wave of liquefied natural gas developments in Papua New Guinea has underpinned its strategic move to acquire a stake in InterOil’s Elk-Antelope gas discoveries for $US900 million. After being locked in a trading halt pending a material acquisition, the Australian Securities Exchange-listed company marked the last day of summer with news of the proposed acquisition, detailing how it planned to fund its move into the fields which are considered by many in the industry as the largest undeveloped gas fields in PNG. In a statement to the ASX, Oil Search said it had entered into an agreement to acquire Pac LNG Group which holds a 22.8 per cent interest in PRL 15, which contains the two discoveries. An upfront payment of US$900 million was required upon completion with contingent payments of $0.775 per thousand cubic feet for any certified 2C raw gas contingent resource within the Elk-Antelope fields greater than 7 trillion cubic feet. The acquisition of Pac LNG, which would give Oil Search the 22.5% interest in the gas fields, is unconditional. Taking the stake would give Oil Search a foothold in PNG’s next big LNG development, it said in a conference call. The company could leverage its operating experience in PNG with the PNG LNG project, to assist with the development of Elk-Antelope. “Clearly from the point of view of the remaining resources in the country, the Elk-Antelope resource is seen as the largest undeveloped field in the country and there is significant upside in terms of exploration attached to those licenses,” Oil Search managing director Peter Botten told investors on the call. 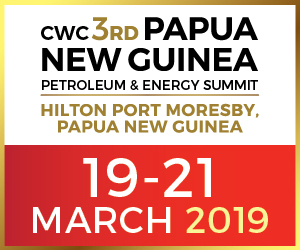 “As a major player in PNG… we see it as essential to play a role in how the industry will evolve in the next few years and ensure that we push for and are part of high return in capital efficient projects and they are brought into fruition in the quickest possible time. Furthermore, Oil Search said the planned acquisition aligned with its strategy of building shareholder value through developments and expansions. It also complemented the company’s existing PNG interests and would reinforce Oil Search’s position as PNG’s leading oil and gas explorer and producer. “The acquisition provides us with a huge strategic platform to be a key player in the next series of developments in PNG in the LNG space,” Mr Botten said. The company sees huge exploration upside in the discoveries given a recent Gaffney, Cline & Associates report determined a recoverable raw gas resource of 7 trillion cubic feet on a 100% basis. 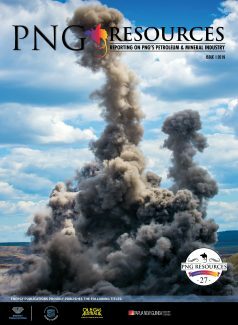 This would give the company exposure to a standalone LNG development away from PNG LNG or an LNG expansion opportunity. Importantly, the sizeable 22.8% stake would give Oil Search a strong influence within the joint venture in driving the future gas resource development with the company to hold significant voting and pre-emptive rights. Oil Search said it was looking forward to holding constructive discussions with all stakeholders involved in PRL 15, including Total which recently entered into a $US3.6 billion deal with InterOil to develop Alk-Entelope. In a statement released soon after news of Oil Search’s acquisition was announced, InterOil chief executive Michael Hession said Oil Search was a logical partner for the company in developing the major gas resources. “This partnership will enable us to tap these energy resources more quickly and cost-effectively – and that translates into real financial benefits for Papua New Guinea and the shareholders of the companies involved,” he said. Oil Search also announced its full-year results for 2013 posting a profit of $US205.7 million, up 17% year-on-year. Total revenue was up 6% to $US766.3 million due to higher sales volumes. The news followed moves by the International Petroleum Investment Company (IPIC) of Abu Dhabi to swap bond holdings for a 13% stake in the oil and gas player.